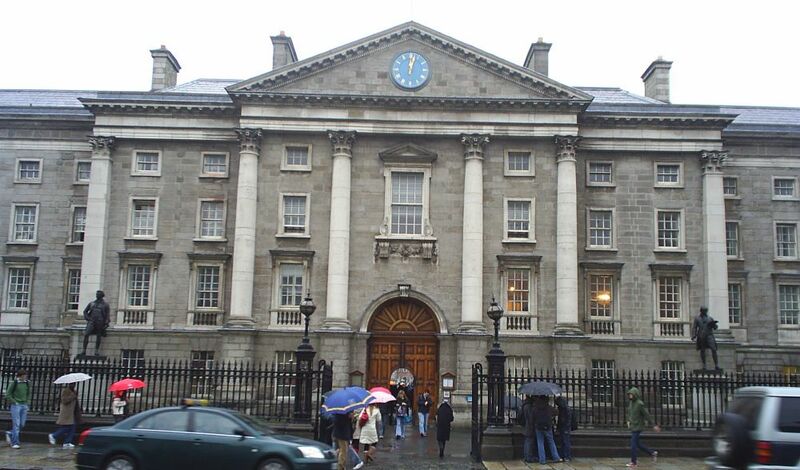 Trinity College, Dublin: The west front main entrance to Trinity College (built 1751) from the busy streets of Dublin. 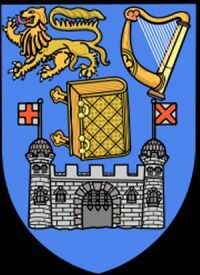 The university was founded in 1592 by Elizabeth 1st of England. 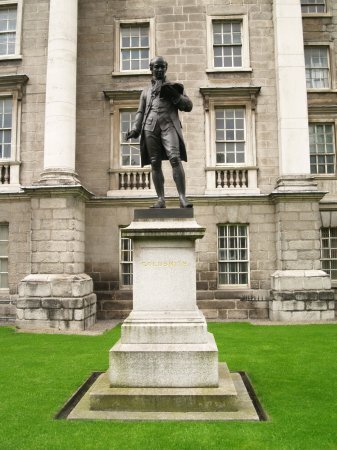 Many famous people have undergraduates studying at Trinity College including the play writers Oliver Goldsmith, Samuel Beckett, Oscar Wilde, the philosopher Edmund Burke, the writers Dean Jonathan Swift ("Gulliver's Travels") and Bram Stoker ("Dracula"). Many other famous graduates include Mary Robinson the ex-president of Ireland. 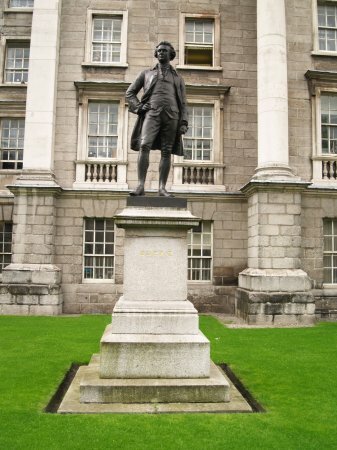 There are two statues flanking the west front entrance of Trinity College, Dublin. 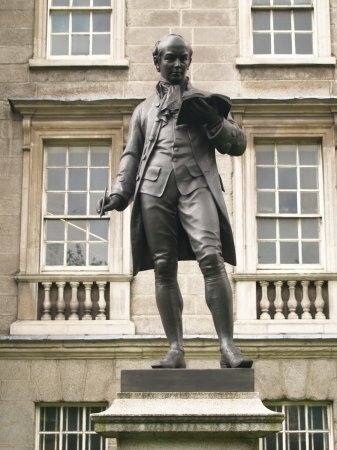 Trinity College, Dublin: On the right is the statue of the playwright Oliver Goldsmith (1864 by John Foley) with the fine buildings of Trinity College as a backdrop! 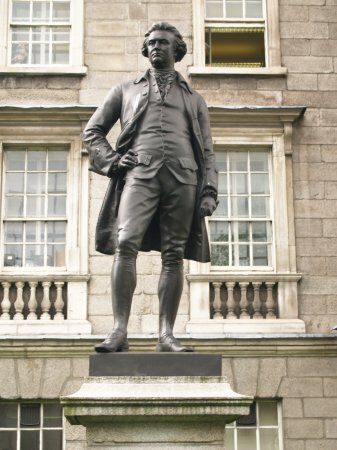 Trinity College, Dublin: On the left is the statue of the philosopher Edmund Burke (1868 by John Foley) sometimes described as the 'Father of British Conservatism'. 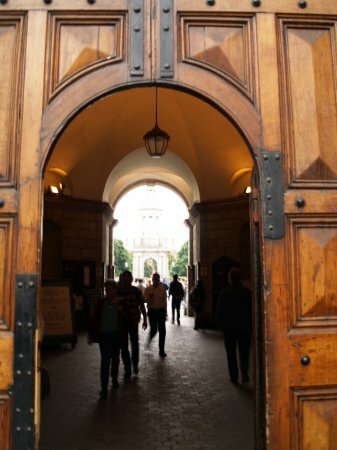 Trinity College, Dublin: The student and visitor wooden entrance of the west door and the Campanile bell tower beyond. 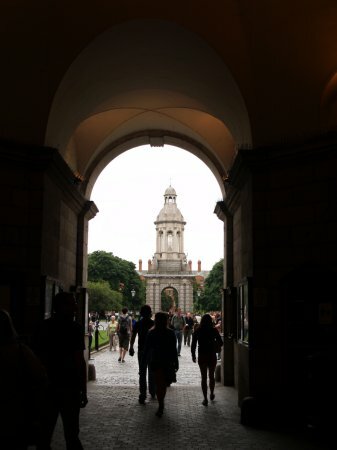 Trinity College, Dublin: Inside the main Parliament Square of Trinity College, Dublin, looking towards the entrance. 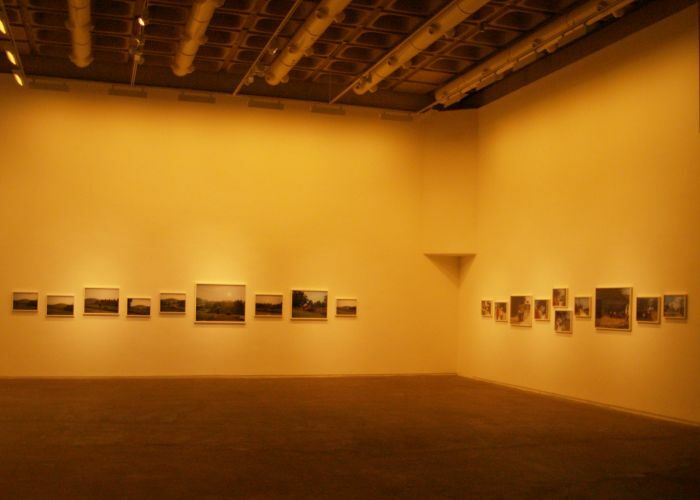 On the right is the Chapel of 1798, which is the only chapel in the Irish Republic shared by all denominations. 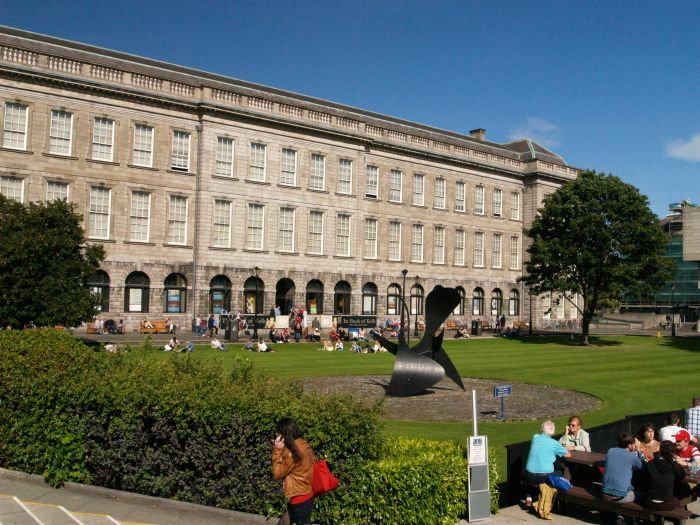 The library houses the Book of Kells, one of the most beautiful medieval manuscripts in Europe. 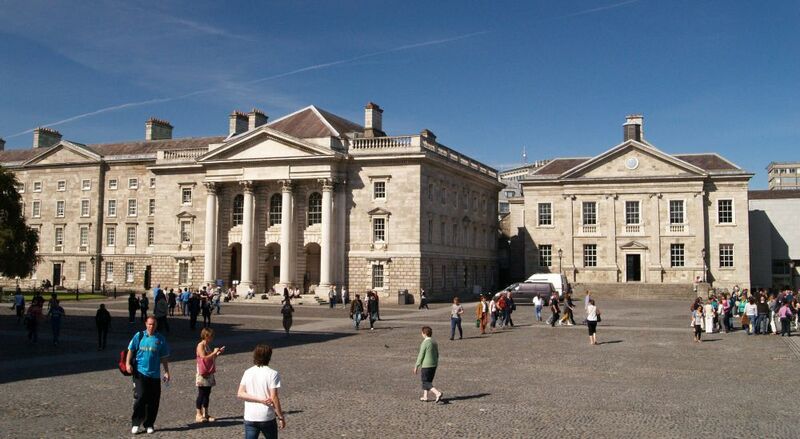 Trinity College, Dublin: The court of Parliament Square (Front Square) was completed by Thomas Nevile (Neville), master of the college, in the early years of the 17th century, when he rearranged the existing buildings to form a single court you see today. 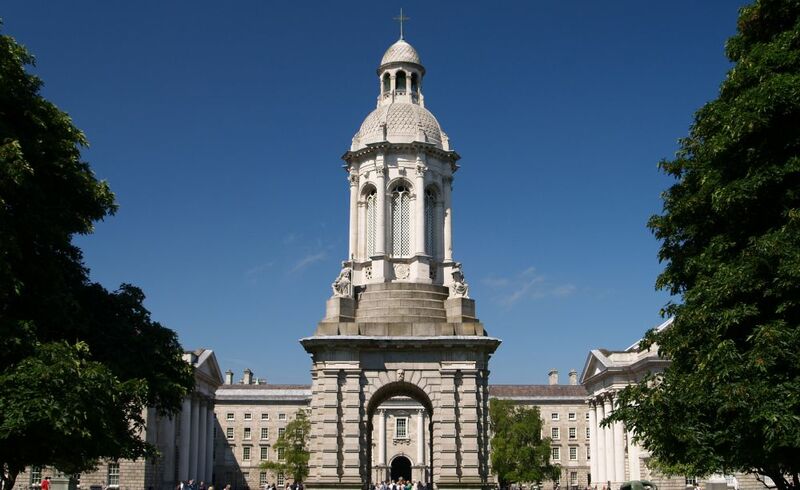 Trinity College, Dublin: The Campanile (bell tower) of Trinity College, Dublin. 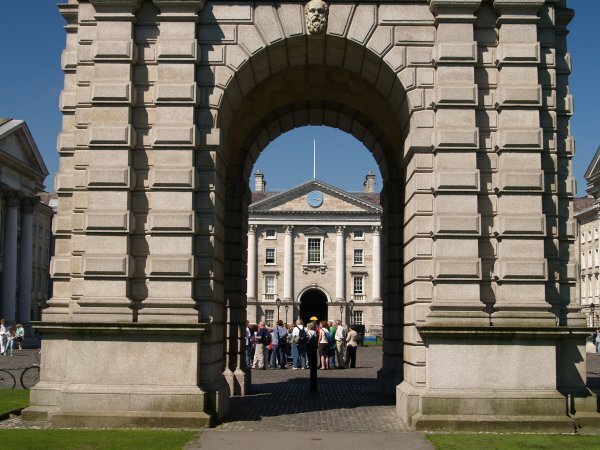 It was built by Sir Charles Lanyon, the architect of the Queen's University in Belfast, in 1853. The building on the left background is Dining Hall of 1761. 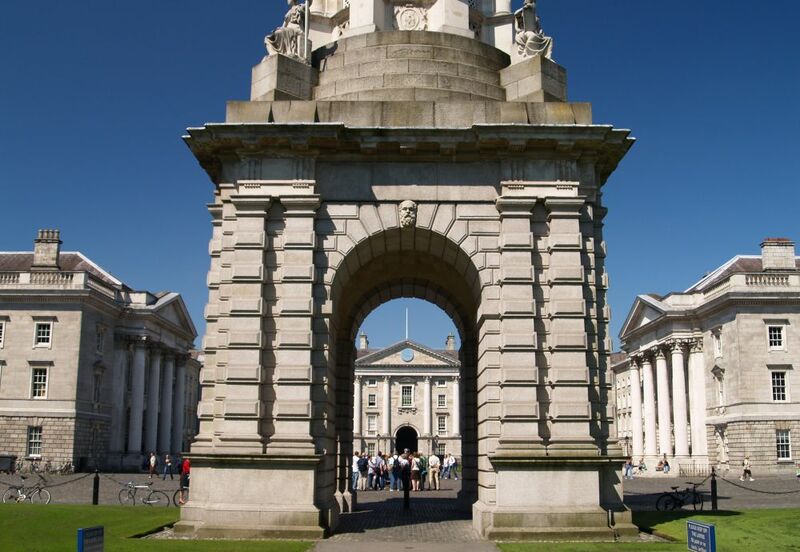 Trinity College, Dublin: Looking from New Square into Parliament Square. 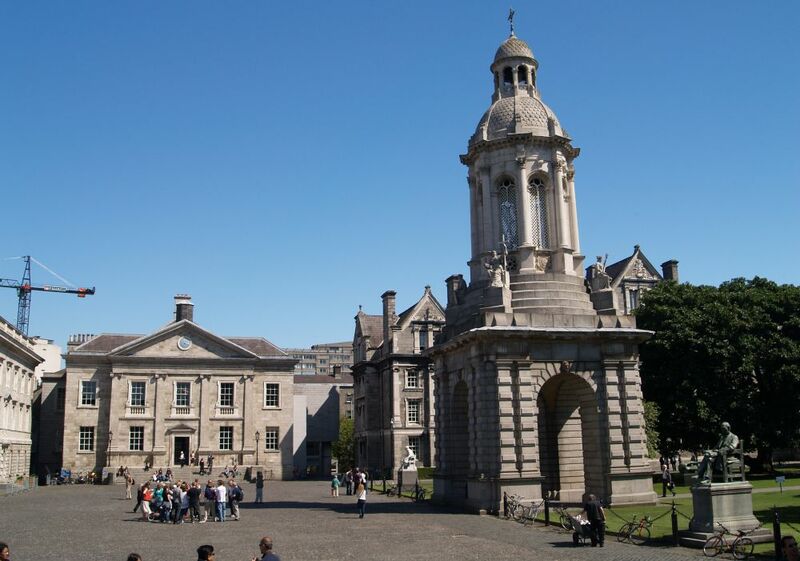 The building on the left is the Examination Hall of 1791 and on the right is the Chapel, and looking through the Campanile to the internal facade of the main entrance to Trinity College. 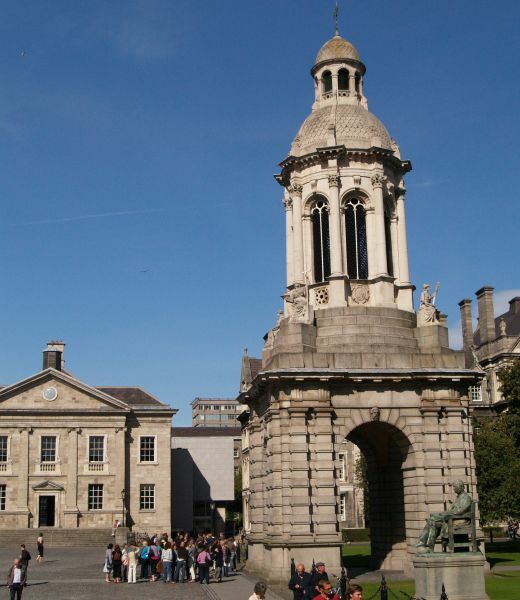 Trinity College, Dublin: The Campanile and the buildings around Parliament Square. 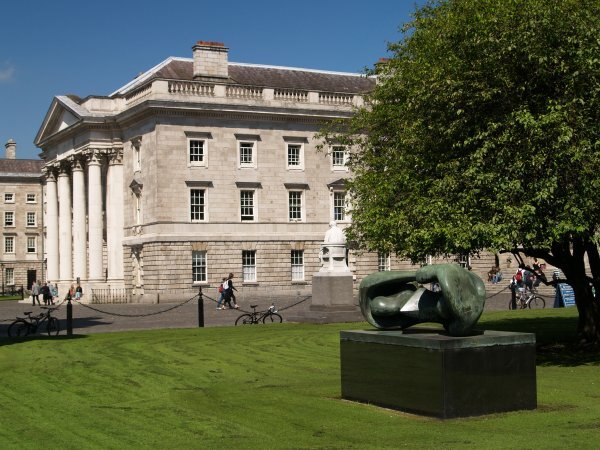 Trinity College, Dublin: The 1969 sculpture on the right is 'Reclining Connecting Forms' by the celebrated sculptor Henry Moore, with the non-denominational Chapel beyond.